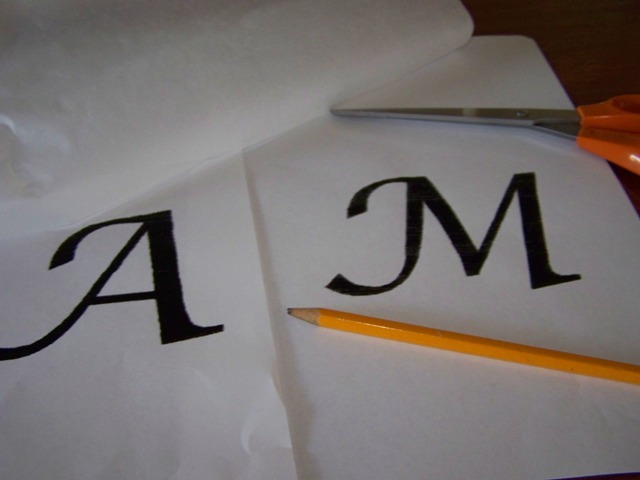 And cut out the letters / your design. 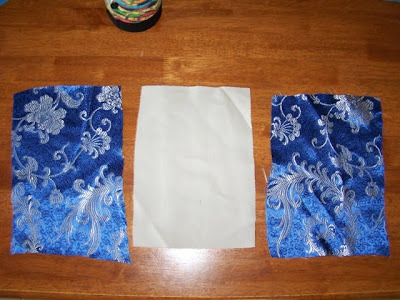 This now has a peel off backing with the sticky stuff you can iron onto the fabric. 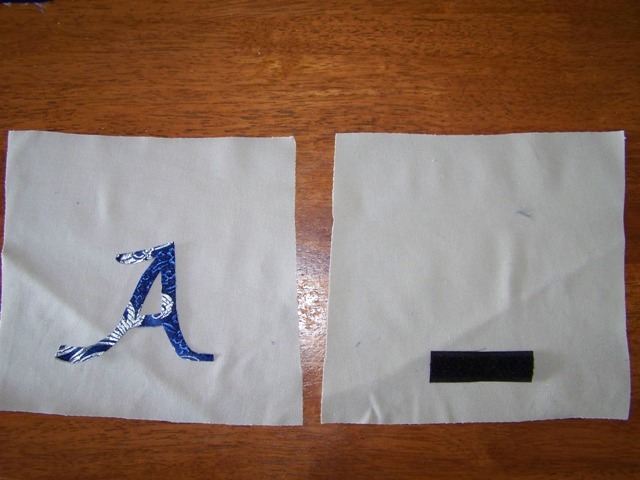 Place the applique and one side of the velcro on the right sides of your plain flap material. 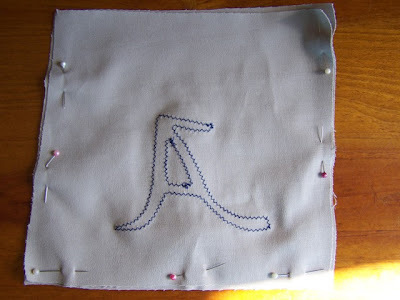 Then iron and stitch on securely. 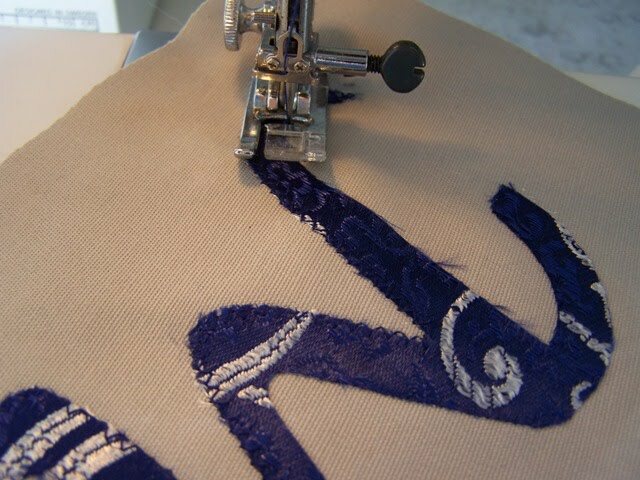 Zig-zag around the edges of your applique to secure. 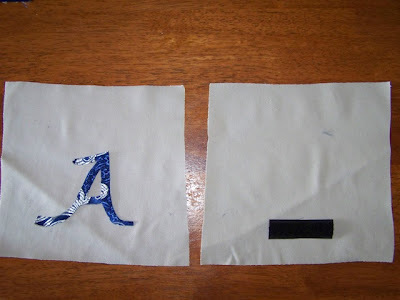 Although the instructions of the iron on paper often say you don't need to stitch, I find that after time it does peel off if you don't stitch it! Pin and stitch the 2 flap pieces right sides together, around 3 sides. 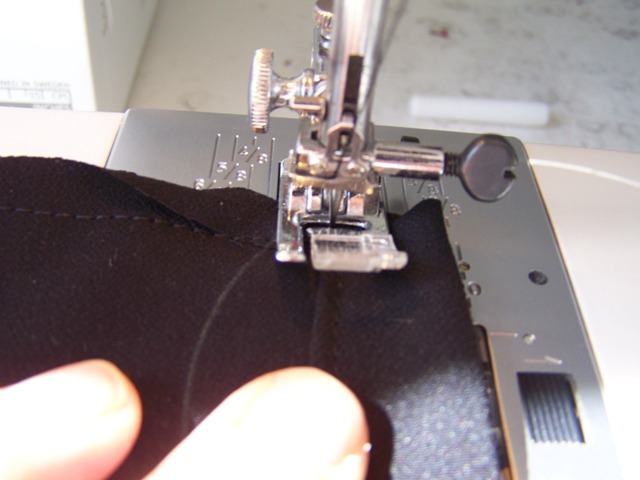 Turn out and top stitch close to edge. 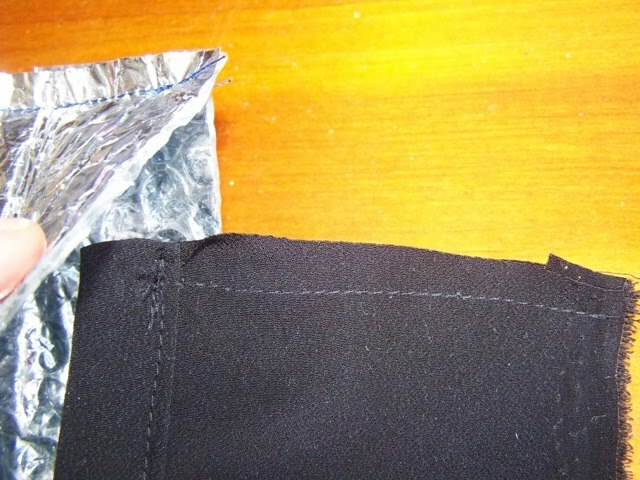 Next comes the black fabric used for the drawstring cover under the flap of the bag. Double turn the long edge over to make the casing for the cord. 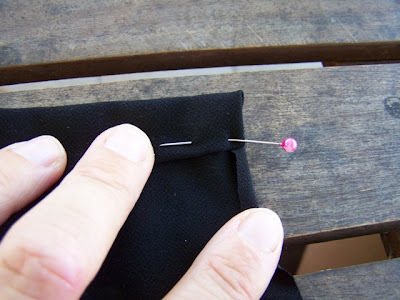 Pin securely. 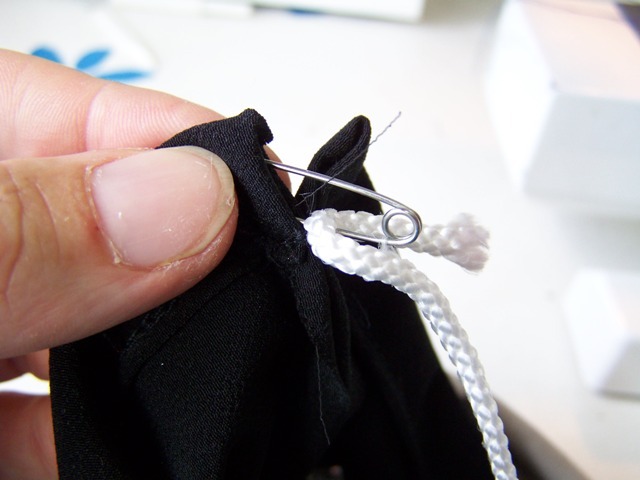 Make sure you turn the final edges under when you pin, as these edges will be exposed when the bag is finished. 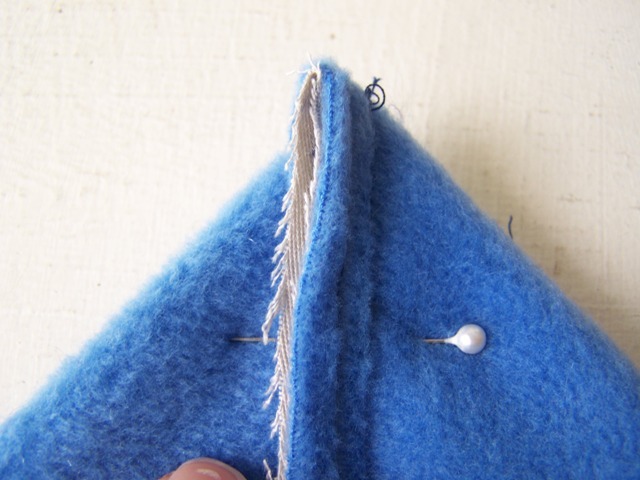 Stitch casing closed - making sure it's wide enough for your cord to be threaded through it. 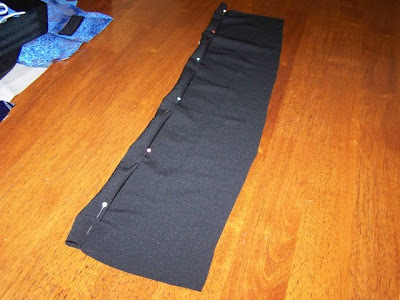 Then fold the fabric lengthways, right sides together and pin up to cord casing. Then stitch along the pin line - but only as far as the cord casing - that needs to be left open to get the cord in at the end! I also recommend stitching across the top of the seam juut under the casing for a little extra strength on that seam. 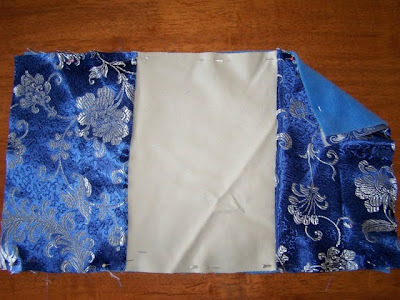 Once you've joined all 3 pieces together, then baste along long edges to fleece batting. 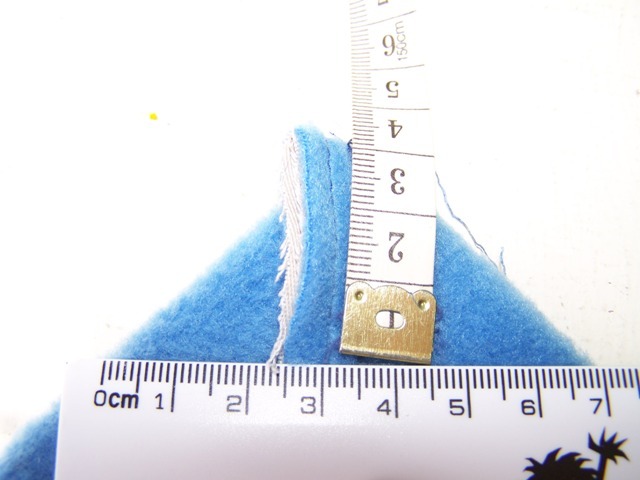 Lay your second piece of velcro centrally on the pretty fabric like this (7.5 cm from base fabric): and stitch. Now you have your inner and outer fabric ready. Stitch along this 7cm ruler line. 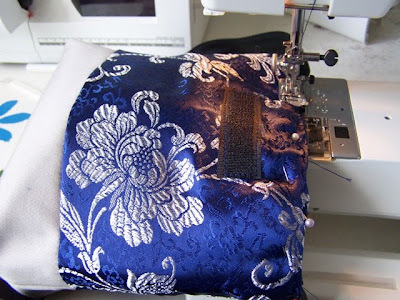 I go over my line of stitching 3 times for extra strength in the bag. Then cut the corner off. 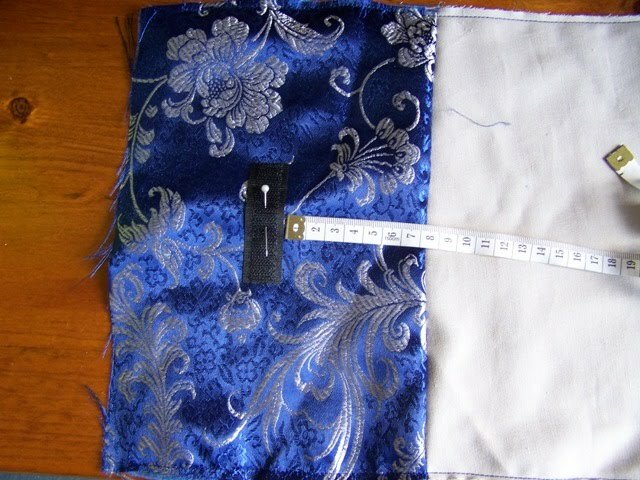 Your inner and outer bag are almost ready to be joined together!! 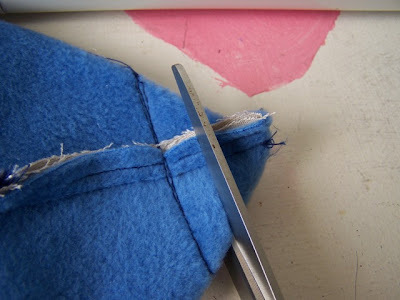 And pin the raw edges together all around, then stitch together. 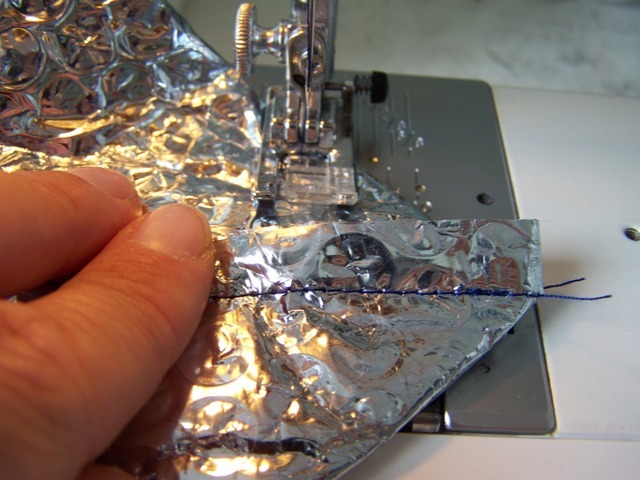 Once you're done, pull the black part to the outside of the silver and fold the top at the seam. 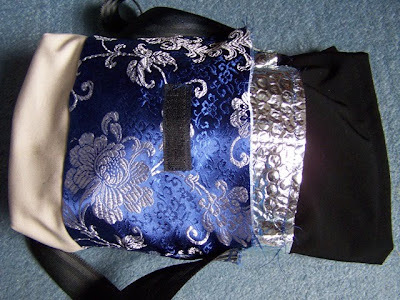 This will make it easier when you join the inner and outer bag together later. Now you need to pin the flap to the back of the outer bag, right sides together. 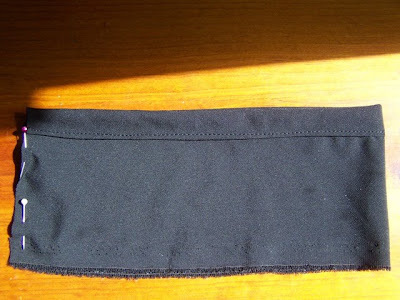 And then pin the straps to the sides. 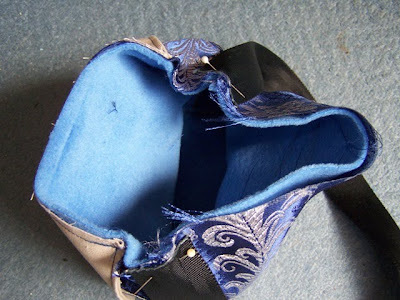 Stitch the flap and straps securely in place. Now you're ready for the final join!! 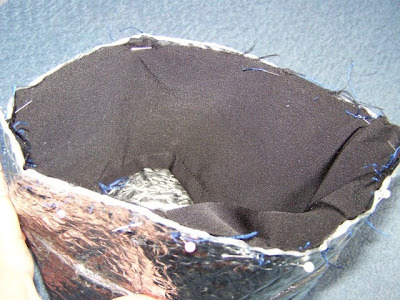 Push the silver inner part inside the pretty outer part. Now comes what I found to be the trickiest part of all! 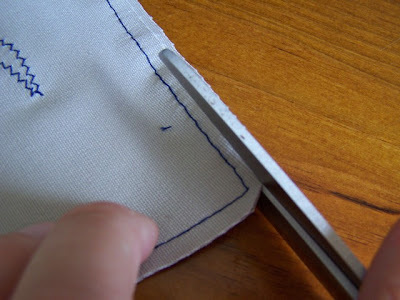 Folding the raw edges down inside the bag to get a neat top edge. Then pin securely. 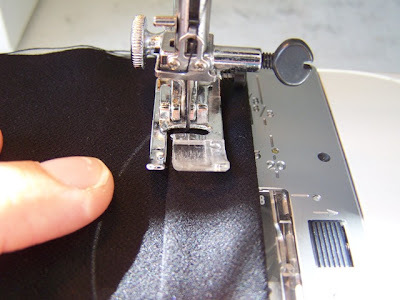 Don't forget to lift the flap, and the black part out of the way when you pin! Now all you need to do is push the cord through the drawstring casing in the black fabric, using a safety pin. 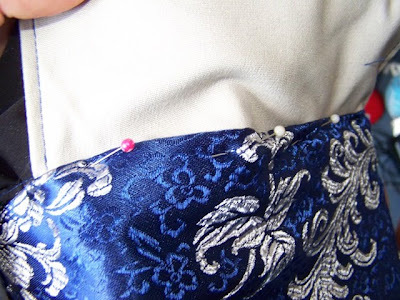 Then push the two ends through your toggle and tie securely. 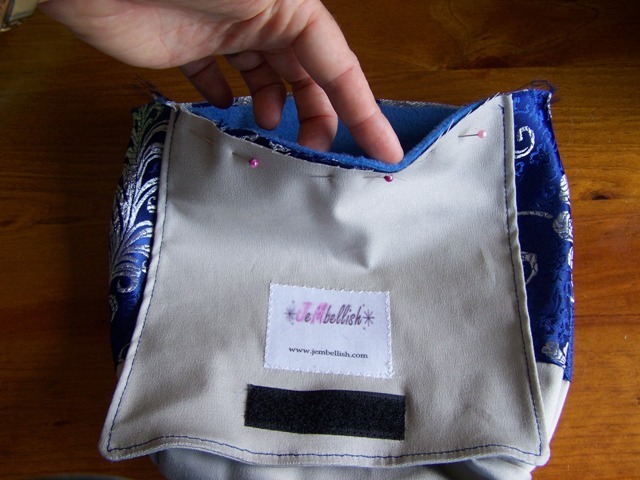 One finished insulated lunch bag! 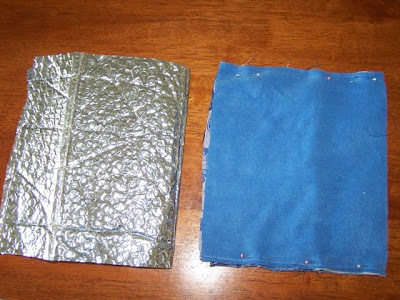 Made from recycled materials!! So now I can pack off two little packed lunches and send my girls off to the secret garden!! I hope they like them!! Hope you found that tutorial easy enough to follow. 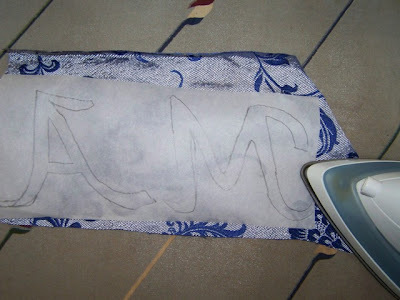 Do let me know if you try making one, and send a picture! I'd love to see different versions! I'm a new follower! I need all the help I can get in the sewing department! 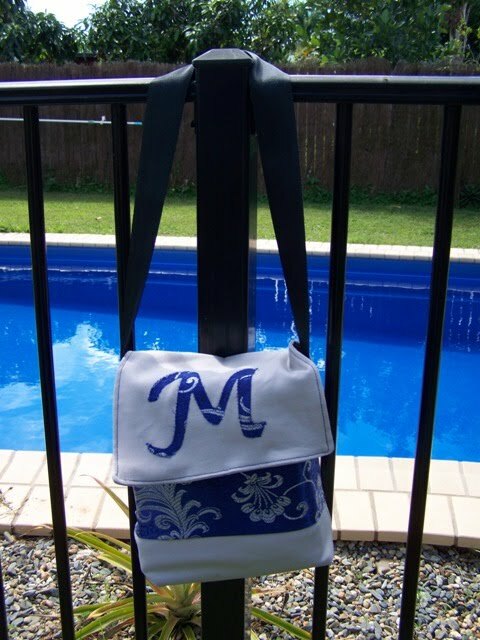 I love those insulated bags with the person's initial on it. Great work and thanks for sharing. Following you from TAT please follow back. cute blog! What wonderful bags! And the tutorial is wonderful! I can follow along with no problems. 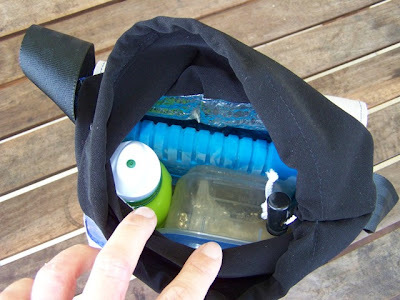 This is going to come in perfect as we are about to head into summer and I love biking and picnics. So much easier with individual bags rather than the huge, heavy basket weighing one of us down! Thank you all!! 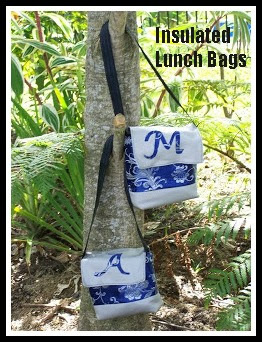 They are lovely lightweight bags. My girls loved them when they came home from school, and can't wait to test them out! Weekend picnics are already planned! 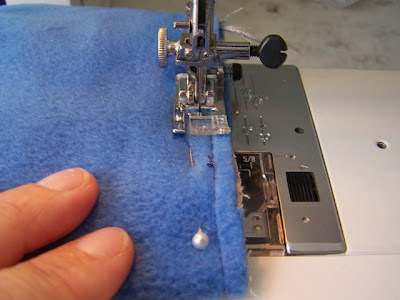 Soooo CUTE and thrifty...thanks for showing us how to make one! I seriously need this in my life right now. I'd love to have this linked to my weekly link party "Make Your Style Mondays"
love them! I'm visiting with creative itch. What a great tutorial!! 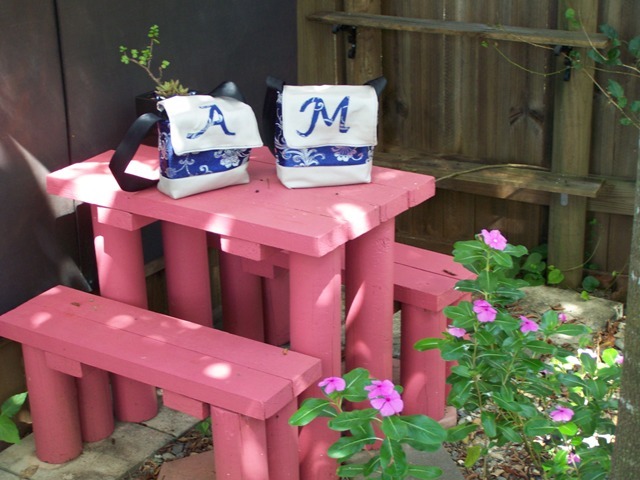 And I love that you repurposed items to make them!! Thanks for linking @Creative Itch's "Sew Cute Tuesday"! That is a fabulous idea and so cute too! Stopping in from TTA. Fabulous ideas...I am a new follower. Great tutorial and lovely bags! I love all the recycled materials you used. Nice work! I love this!! I was planning to make my kids lunch bags over the summer and I think these would be perfect. 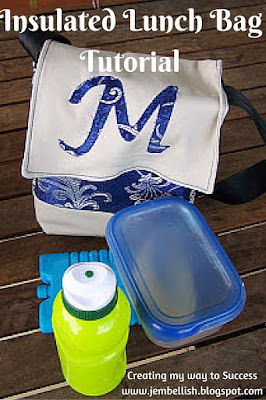 linking up from tutorial tuesday - great tute and such cute bags. Hi There! Stopping in to be your newest follower! Swing by my blog when you have a chance. Have a great week! I'm following you from Tuesday Tag Along, I hope you'll stop by and follow me too. and wow, those turned out great! 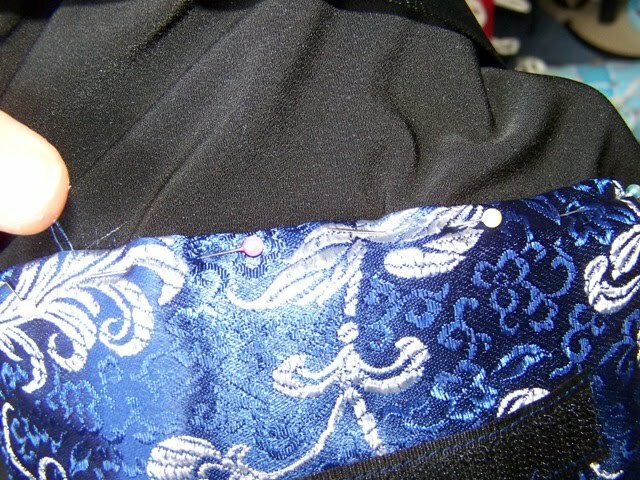 I couldn't even tell they were handmade at first :O! You Rock gal. These are awesome. I love your site. These are too cute! Thanks for the great tutorial!! I am going to have to make one of these for my oldest when he goes to nursery school in the fall! Wndscreen shade - brilliant idea!! Wow what a great idea!! Thanks for the tutorial! Really cute bags! I SO wish I could sew. LOL I'm a bit late coming over for Creative Share on Trendy Treehouse! :) Thanks for following, and I'm now following you with all 3 of my blogs. Very cute! What fun colors too! Thanks for linking up. 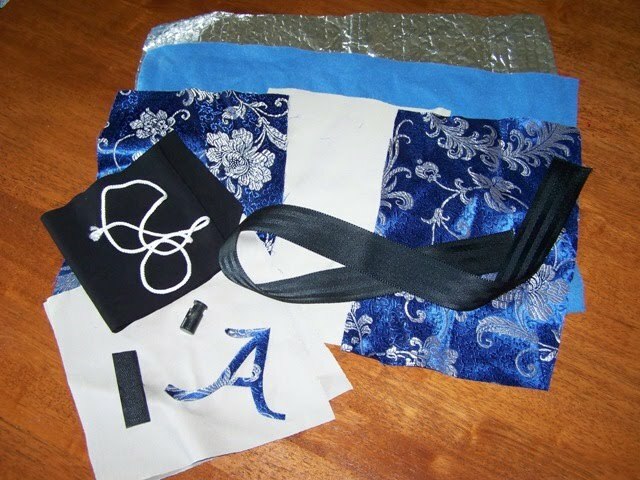 Hope to see your fabulous DIY again at Make My style Mondays. 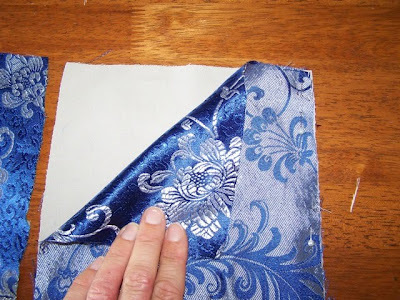 This is an absolutely FABULOUS tutorial! I am bookmarking it for future reference! 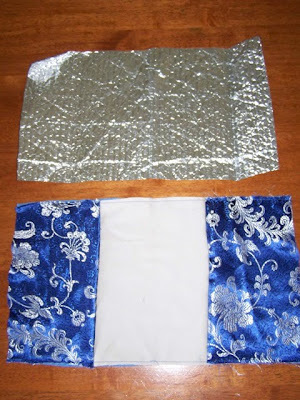 ohh wow, that's fabulous, now when my sewing skills improve I need to come back to this. What a great idea! I'm going to have to add this to my list of things I want to make (it's getting longer & longer). 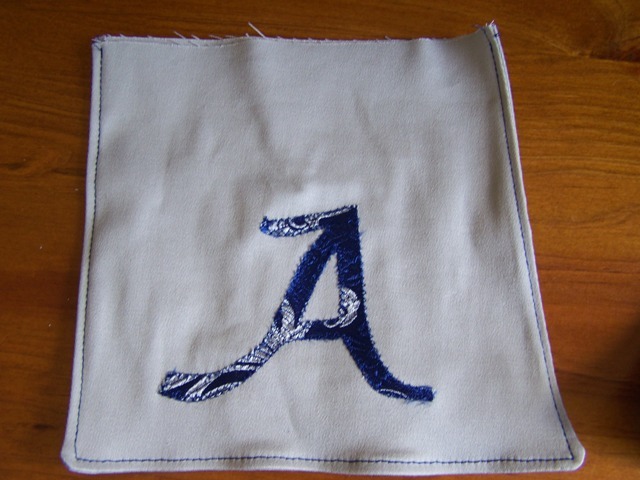 I love the idea of the monogram on them too. My younger kids would love these! Thanks for sharing! 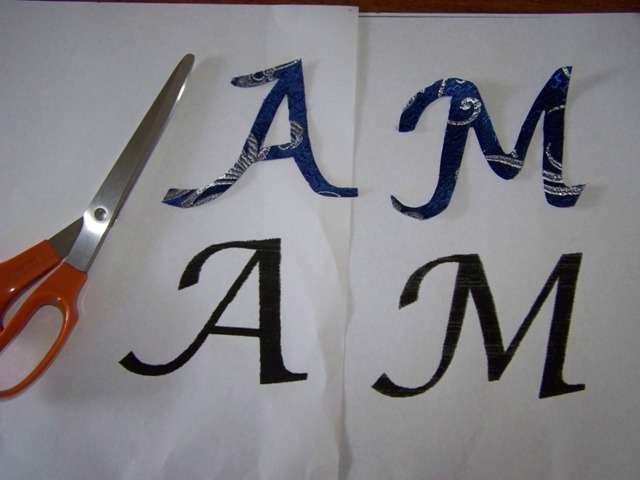 You are - this is - sooo cool. It's such a neat idea. Your directions are clear and simple. Thanks for sharing and thank you for your hard work at showing us "how to". Will be following your site from now on!! Wonderful idea! Thanks for this tutorial. I'll make it. I enjoy visiting your blog. Ah-ha!! I have been wondering for a while what to use as the insulation for an insulated bag. Thanks for the tutorial. 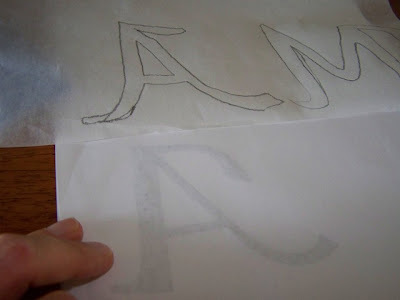 hi... really like this tutorial..can't wait to try it out.. thanks for sharing.. I know this is an old post, but I just wanted to say thank you! I made one for my daughter and she loves it. I did a couple things differently. I made a freezer-stenciled logo instead of an applique, I made a short handle on it and I didn't sew the insulated part in so that I could remove it and toss the bag into the washing machine. It turned out really well! thanks for teaching me. Do you ever throw anything away, Jill??? 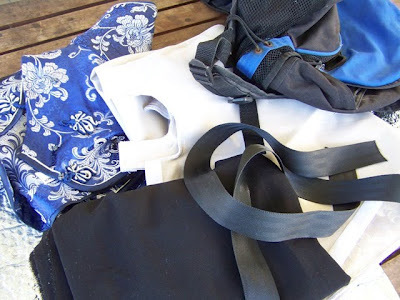 I would never think to save old car seat straps. We can all follow your wonderful example. Great recycling!!! Oh wow! 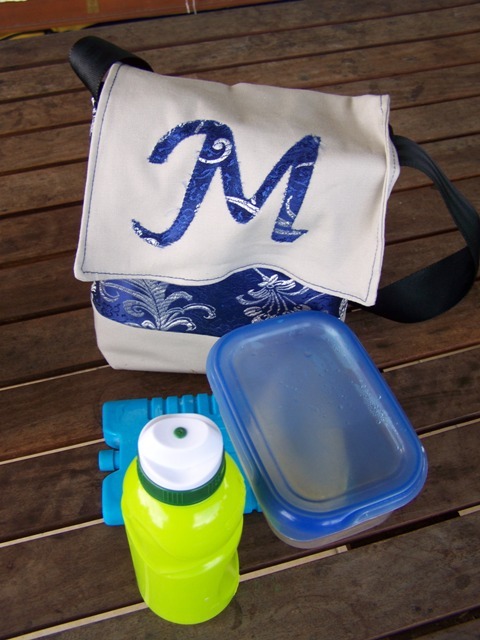 I designed a lunch bag for my daughter using an old windscreen shade, too! 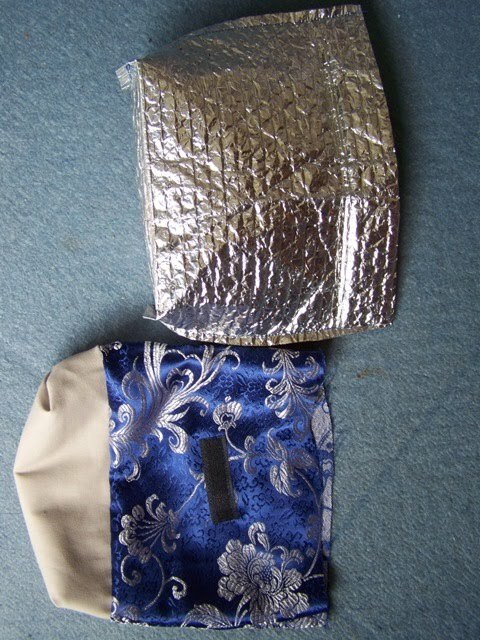 I slso made one for hot food using pure wool batting! Ha - yep, this one is tricky without a sewing machine! Maybe you could ask a friend to make you one!